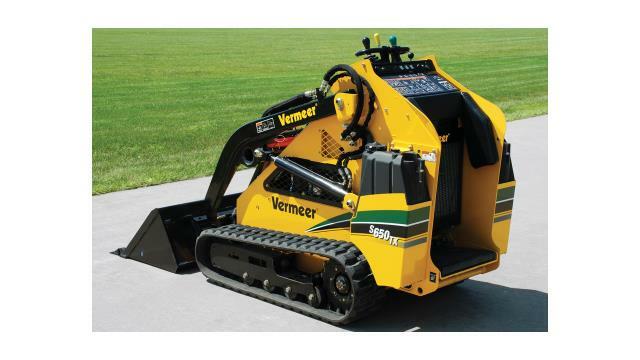 VERMEER # S650TX ; STAND-ON MINI-TRACK LOADER ; 25 HP KUBOTA DIESEL ENG. 660 LBS. LIFT CAPACITY ; DUMP HGT. 80" ; WEIGHT W/BUCKET 2700 LBS. Use Hydraulic Couplers painted Yellow for standard attachments. * Please call us for any questions on our mini loader 42 inch wide track 25 hp d rentals in Cincinnati Ohio.